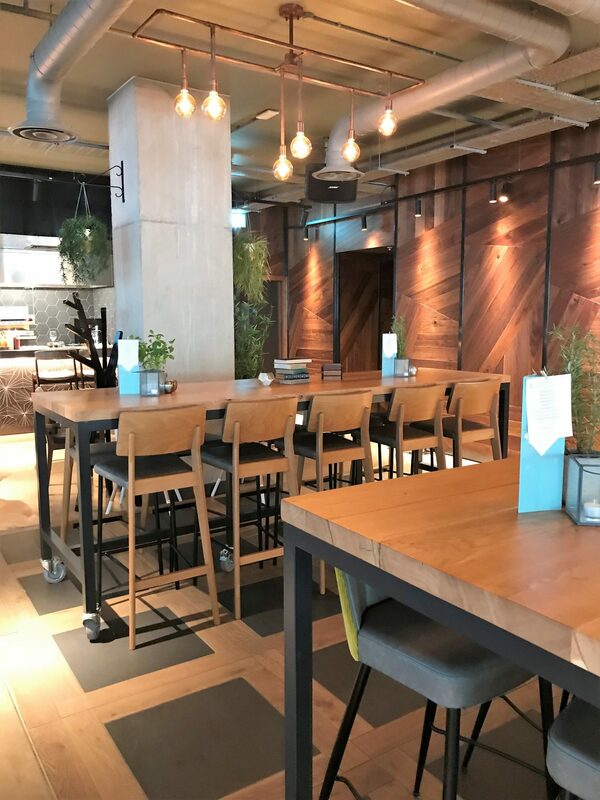 The Anthologist arrived in Manchester the other month, and ever since I heard about its launch, it became on my list of places to visit. It’s the second site by The Refinery, owners Drake & Morgan. 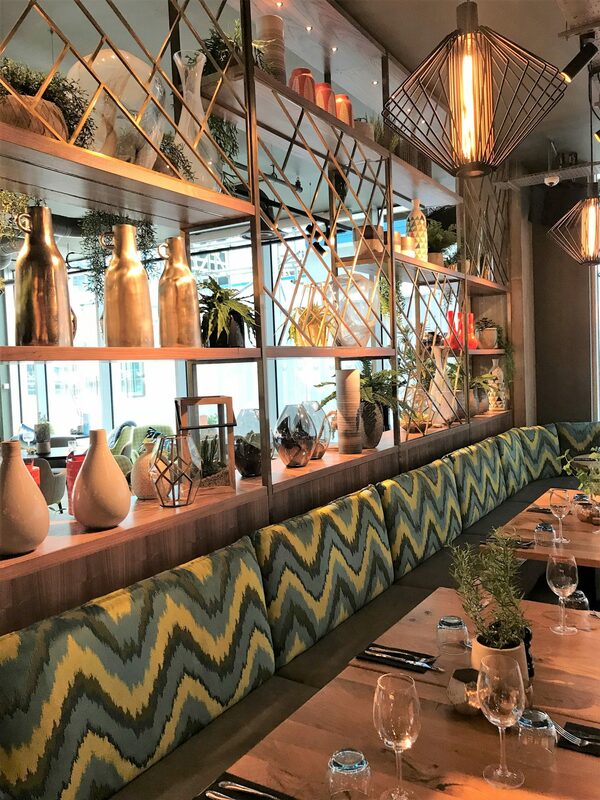 The Refinery is actually one of my favourite places in Manchester for drinks, lunch, cocktails, dinner… I’m yet to try their bottomless brunch offering, but it’s been a ‘must’ for me for a while. You can find out more about my thoughts on The Refinery over at my review here. 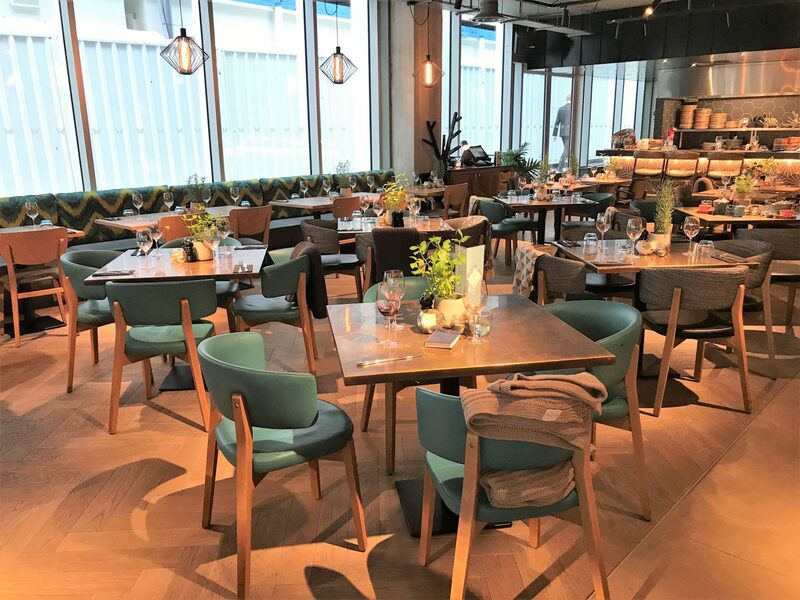 The Anthologist is an all day drinking and dining venue located in One St Peter’s Square, right outside the tram stop. It keeps to a similar chic, sophisticated and uber modern decor and design as it’s sister, The Refinery. In a nutshell, this place is pure botanical bliss at One St Peter’s Square, decorating the place with beautiful plants and a rather dark, intriguing interior. 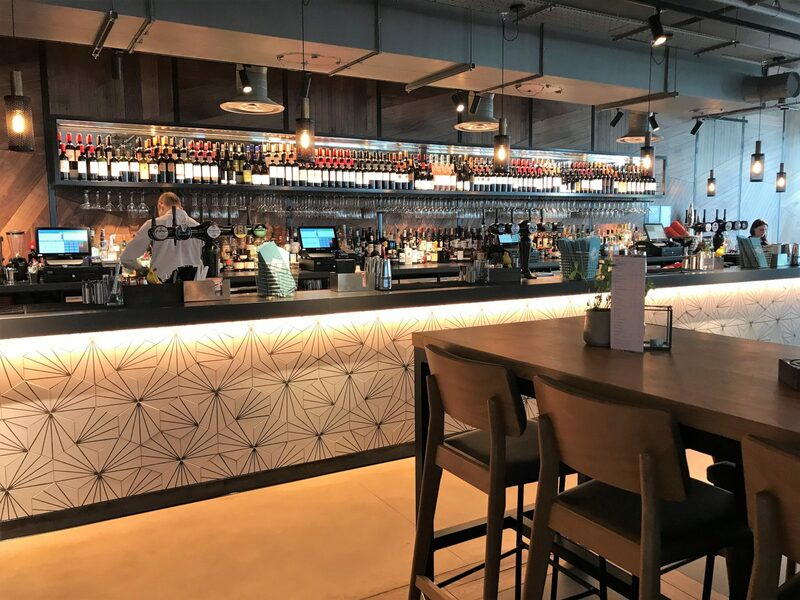 It certainly is a ‘swish’ restaurant and cocktail bar in the heart of Manchester, with its plush seating and soft lighting. 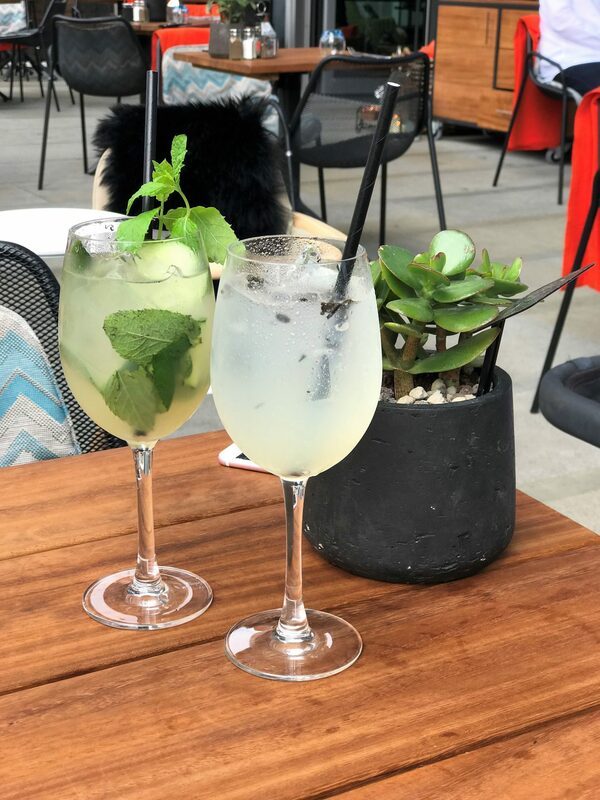 Due to it’s location, I see it being the perfect setting to after work drinks, weekend brunch and family dinners. 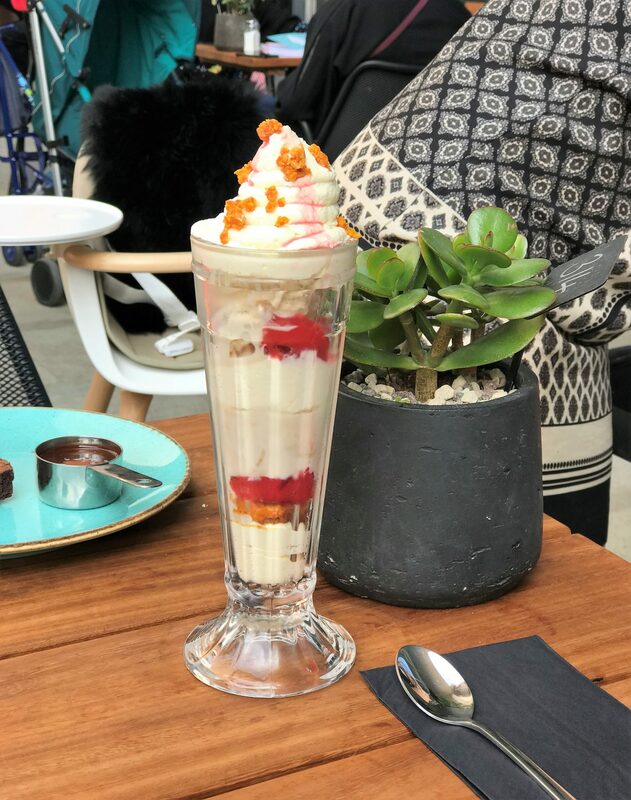 The day I came to visit was a Monday, and a glorious one at that, which gave me an excuse to make use of the gorgeous summer terrace for alfresco lounging. I don’t own a dog, sadly, but I noticed a lot of drinkers and diners had brought theirs along! 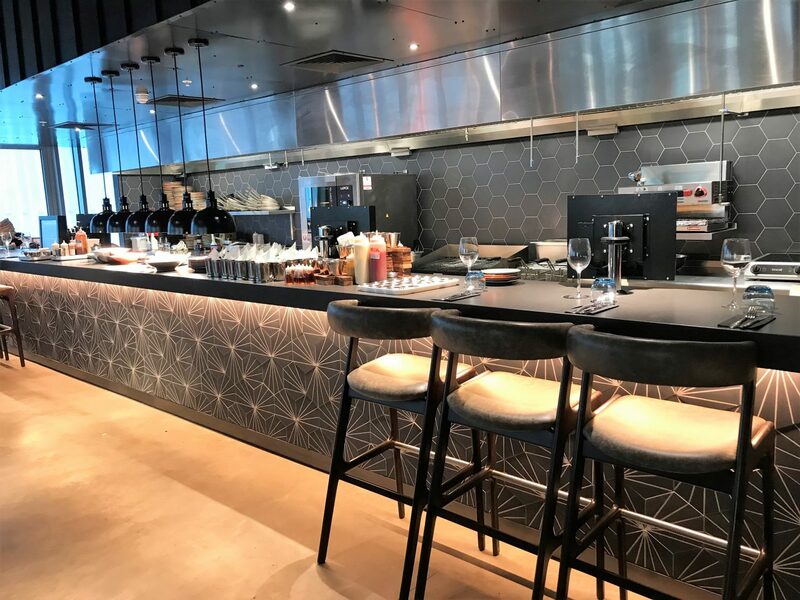 The food is inspired by cuisine from all around the world, so you can expect an assortment of standout dishes taking on lots of different themes. 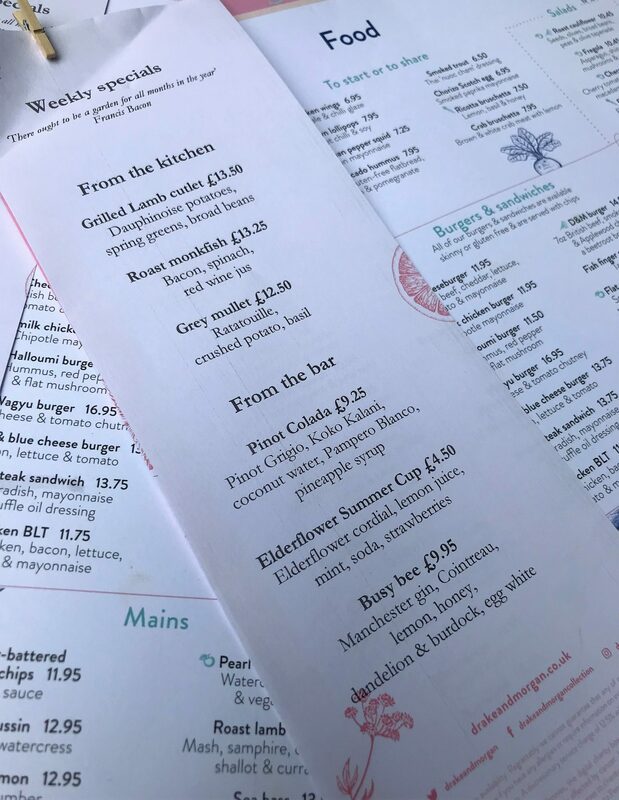 There is everything from mezze boards to Salt & Szechuan pepper squid, alongside classic sirloin steaks and a classic fie pie. 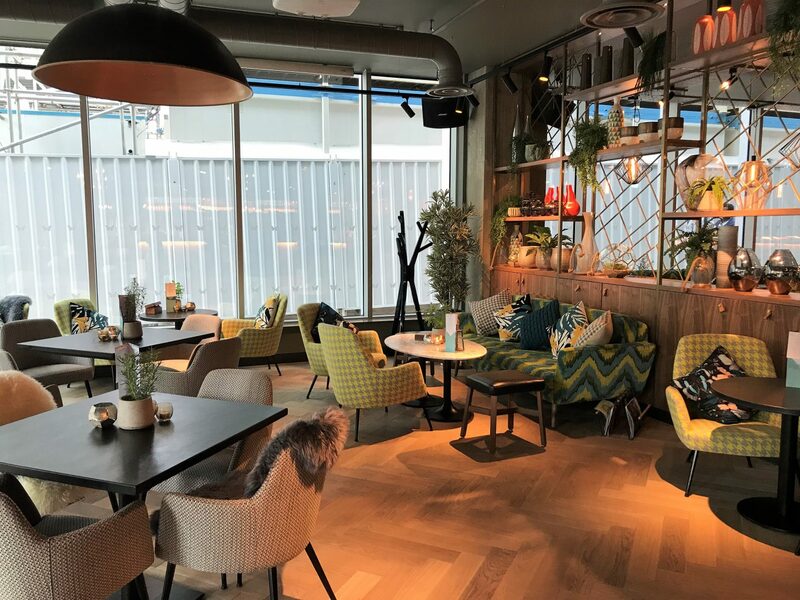 This place looks like it prides itself on a range of extensive brunch offerings, veggie options and vegan dishes, and alongside this, you’ll find a dedicated children’s menu and the choice to pre-order platters for large groups. 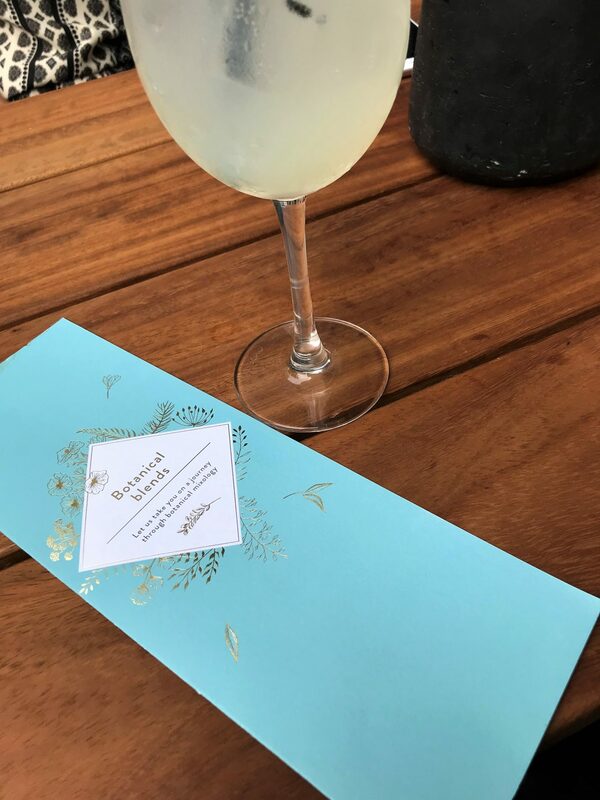 The Cocktails menu was something I was super impressed with though, and enjoyed having a good old read at the huge array of choices, most leaning towards botanical blends, with signature concoctions containing gin and herbal liqueurs. 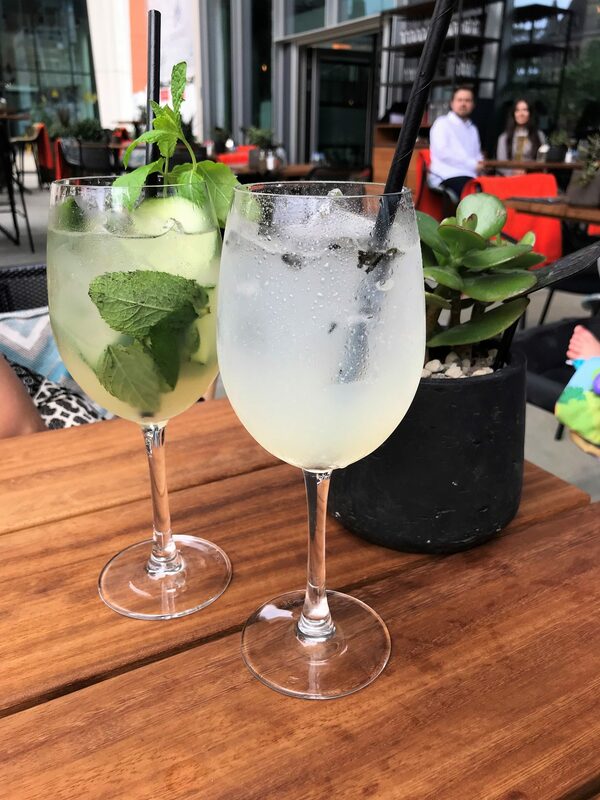 Between myself and my guest, we switched between The London Spritz and The Garden Spritz gin based cocktails, muddled with everything from elderflower and mint, to black pepper and soda. You’re looking at around £8.95-£9.95 for one of these cocktails, but size is definitely on your side, as most cocktails are presented in enormous cocktail glasses. I also spied a range of non-alcoholic cocktails with under 50 calories, for those wanting to be good. These delicious super skinny drinks are called ‘zero proofs’ and look like tasty, low fat concoctions! 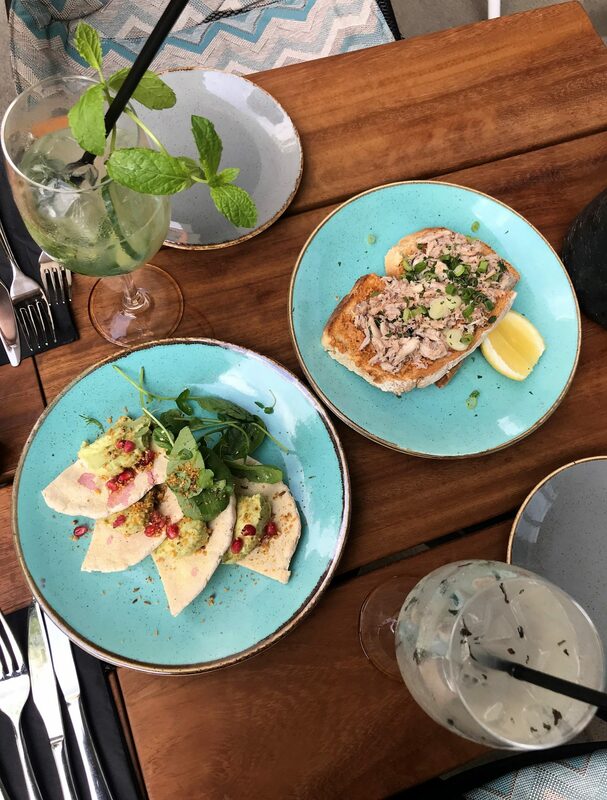 We made use of the outdoor terrace on this particularly hot day, and ordered the Crab Bruchetta and Avocado Hummus as our starter plates. We shared a bit of each others, and I have to say again that the portions were way bigger than I expected. 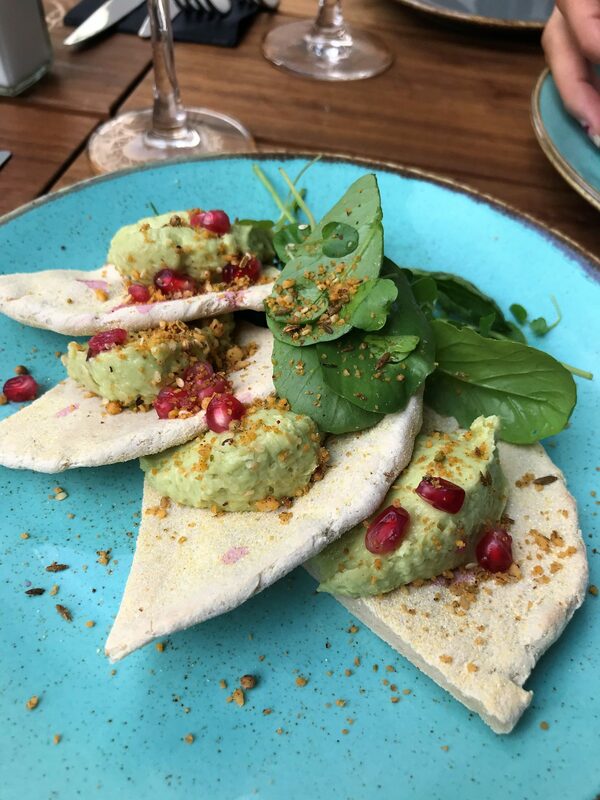 I was treated to slice after slice of soft, gluten-free light toasted flatbreads topped with creamy avocado, hummus and Pomegranate. 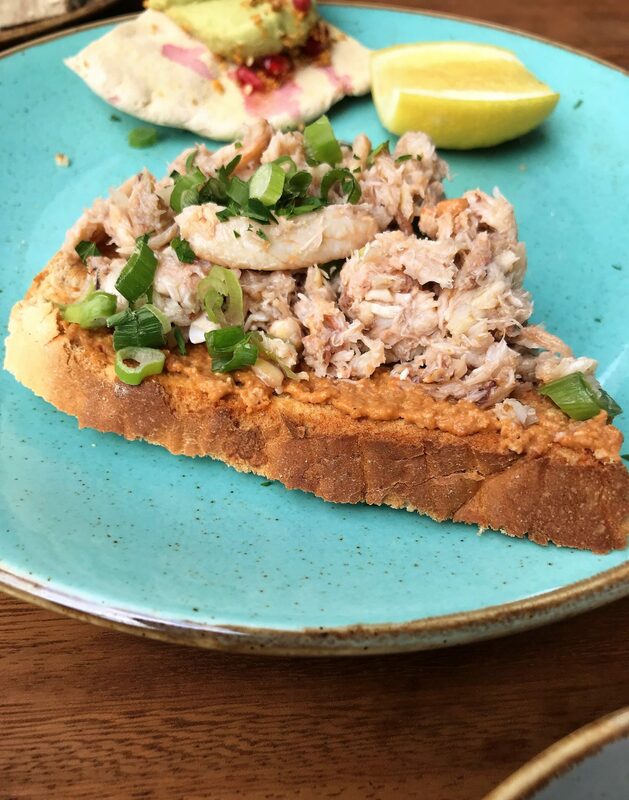 But the Crab Bruchetta deserves its own mention, loaded with succulent, tasty crab meat, loaded and piled high onto crispy bruschetta bread and finished with lemon. 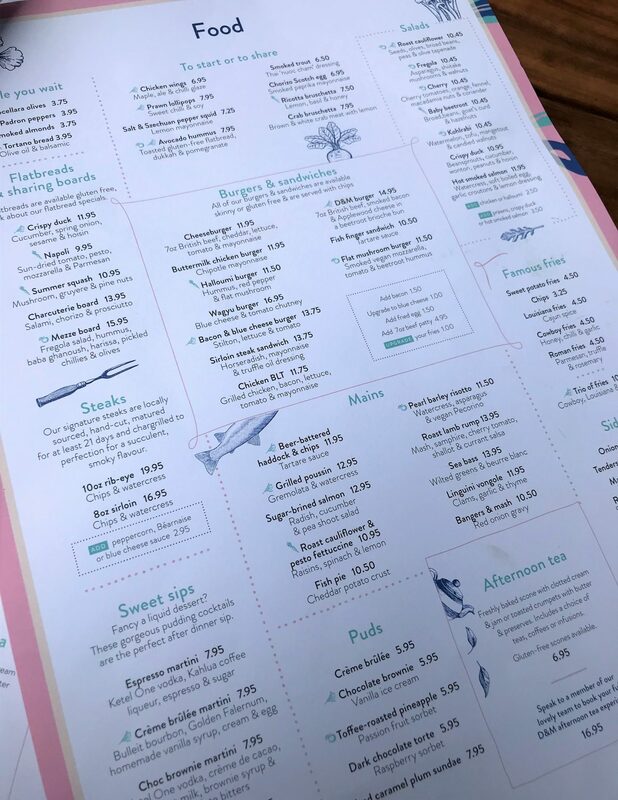 For average starters, you’re looking at around £6.95-£7.95 on average. 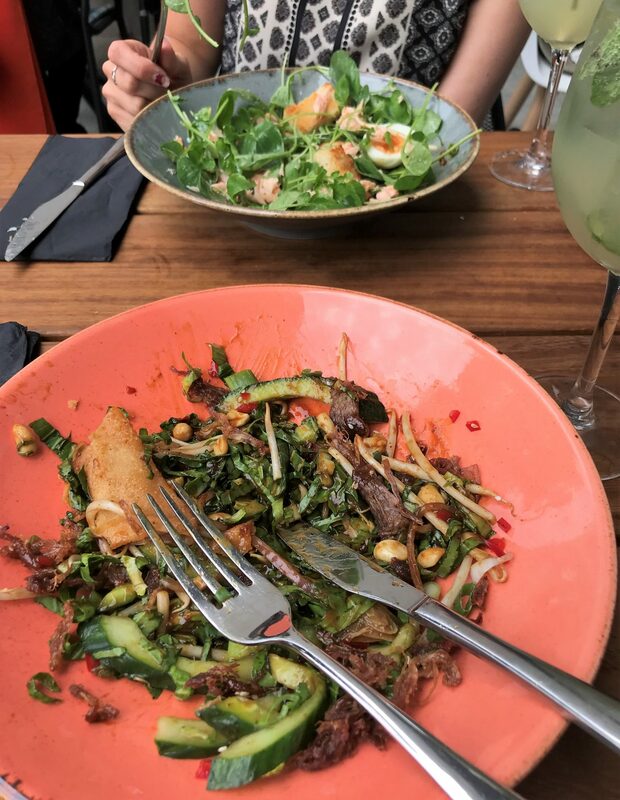 Now its not like me to ever order a salad, but on this occasion, myself and my guest both went for one. I did go for the naughtiest one though – the crispy duck. It actually tasted like – no word of a lie – crispy chilli duck from a Chinese restaurant, which just so happens to be my favourite dish ever. 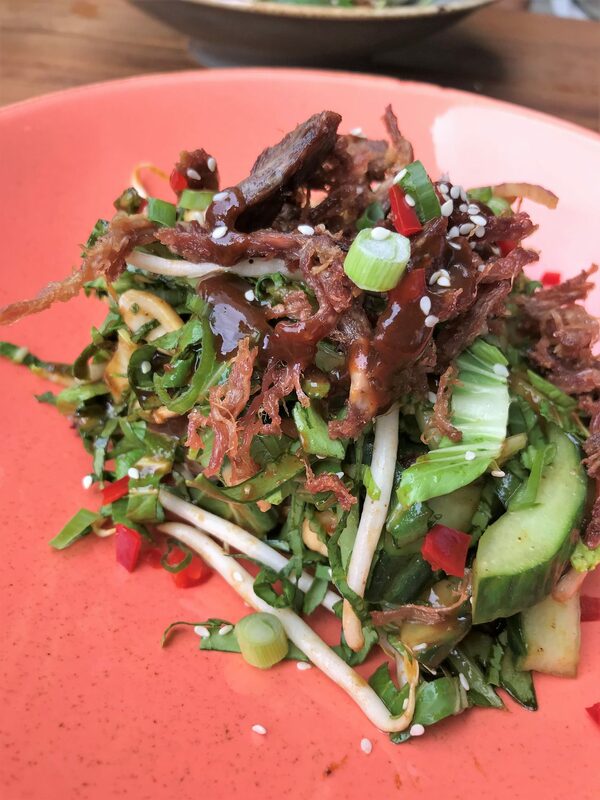 The duck was deep fried and crispy, coated in a spicy hoi sin sauce and topped with beansprouts, spicy wonton pieces, cucumber and peanuts. It was so crunchy and tasty! My sister went for the Hot Smoked Salmon salad, with Watercress, soft boiled egg, garlic croutons & lemon dressing. Again, two enormous portions and it actually took me a while to get through my huge plate. I now see ordering salads in a very different light, when you pile them up with nuts and crispy meat! To finish, I was naughty again and went for the Salted Caramel ice cream sundae packed with plums and fresh cream. I can’t put into words how fantastic this was – it was just like heaven in a glass. It’s pretty filling and super indulgent, but I didn’t struggle to finish it and I wasn’t a fan of sharing it, either! My sister went for the chocolate brownie with vanilla ice cream, which was a warm, rich and gooey brownie with creamy ice cream. 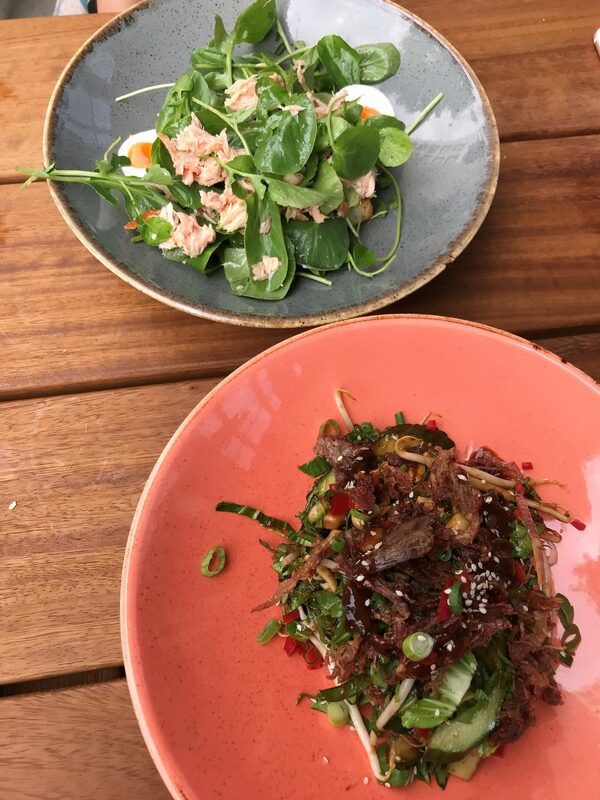 For the mains, you’re looking at £10-£11 for the big salad plates with meat or fish, and for other mains, such as Haddock and Chips, Salmon, Sea Bass or Linguine, it ranges from around £10 – £14. 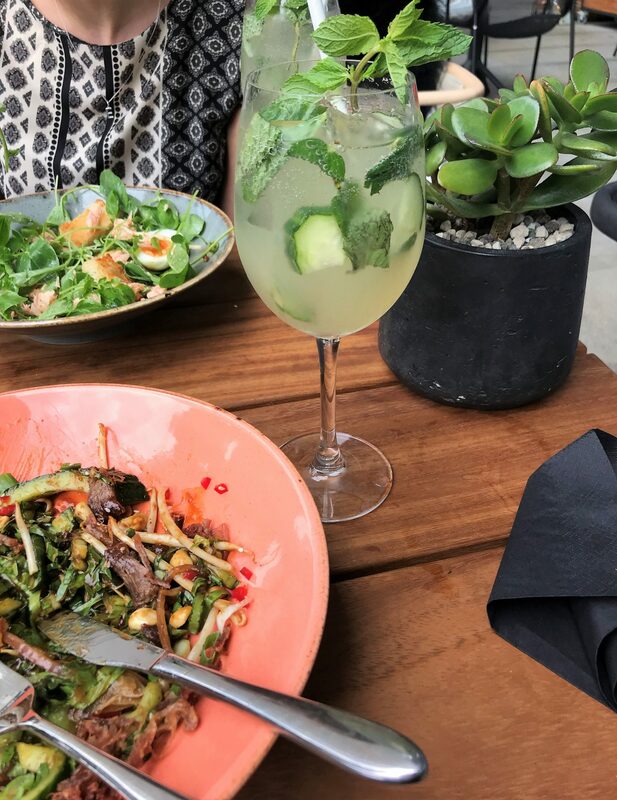 The service was spot on, and the food didn’t disappoint at all – in fact it impressed me more than I thought.